The use of a debit card is the ideal way to place a business in the fast lane towards realizing its strategic goals. Making business purchases has never been an easy task to most small businesses. A small business that embraces the use of debit cards stands a greater potential of enjoying a variety of benefits compared to a company that uses cash, check or credit cards. Debits cards require a low fee for processing compared to checks or credit cards. By using debit cards, a small business can save substantial amounts of money from transactions. The amount that is deducted from the account is the exact cost of the item being bought. A small business debit card is the most reliable method of payment to use. In fact, it provides comprehensive coverage of damages and theft of the items purchased. Most of the debit cards provide coverage of up to 90 days from the day purchases are made. Debit cards are convenient for making payments. The majority of the people prefer the use of debit cards to carrying bulky checks. Moreover, writing a check can be time consuming compared to swiping a debit card. Debit cards can also be used to get back cash on any purchases made. Thus, there is no need to make several trips to the ATM or bank. The worst thing that can happen to a small business is to make late payments on a business credit card or run huge bills that they are unable to meet. This can end up harming the creditworthiness of a small business. The use of debit cards is ideal especially at the times of recession when the company is experiencing difficulties in making payments. Visa and MasterCard are the commonly accepted modes of payment worldwide. A small business that uses a debit card enjoys all the convenience of making payments whenever and wherever they need. Making purchases locally or internationally is possible through the use of debit cards. Furthermore, it is possible to reload any amount of money that a small business wants. This renders it convenient and ideal way to accomplish most of the business operations. To get a business debit card, it is paramount for a business to have a favorable Chex systems report and good credit with its financial institutions. 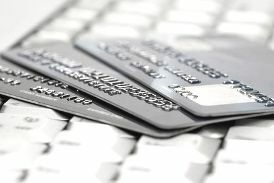 Bad credit can ruin the ability of small business to get a debit card. However, obtaining a debit card does not involve a lot of hassles. The following are the simple steps to take in getting a debit card for business. 1. Get the requirements of opening a business account from the bank. Here, the bank asks for some requirements such as business license, minimum amount to deposit as well as a business name. The conditions here are different from those of opening a personal account. 2. Start opening a business banking account. One needs to contact the bank's representative to determine the account that is ideal for them depending on their business needs. Select an account that does not overcharge. 3. After opening a business account, apply for a business debit card. Normally, there is a checkbox that asks whether the applicant needs a debit card and thus it needs to be checked. The bank processes the information and the next step is setting up your PIN. 4. Choose a preferred PIN. Some of the banks do assign applicants their debit card PINs but other will leave it for applicants to choose. To this far, one will have completed the whole application of debit card for business. Doing business can be much easier with the use of a business debit cards. Perhaps, it is the best way to eliminate a lot of hassles that were initially involved in the traditional modes of payment.